When you purchase our theme from ThemeForest, you can download the Aagan theme files via the “Downloads” tab on your ThemeForest account. When you download Aagan, you can either choose the “All Files & Documentation” option or the “Install-able WordPress File Only”’ option. The former includes the theme files and supporting documents, while the latter only includes the theme’s install-able WordPress file. Step 1 – Login to your ThemeForest account and navigate to the ‘Downloads’ tab. 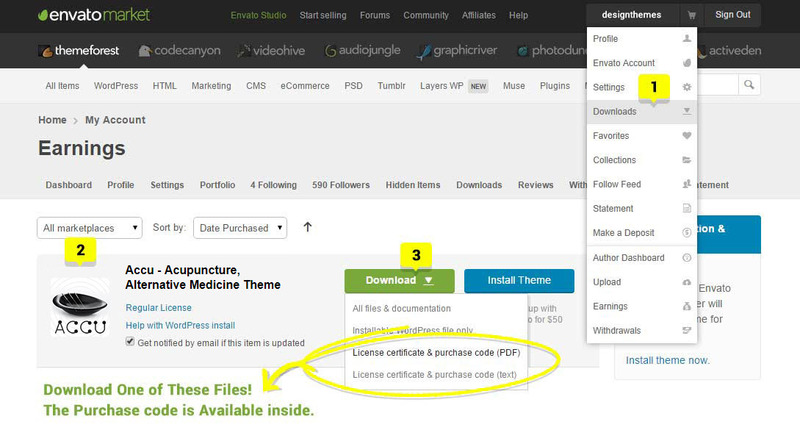 Step 2 – Locate your Theme purchase, and click the Download button. Choose between ‘All Files & Documentation’ or ‘Installable WordPress File Only’.